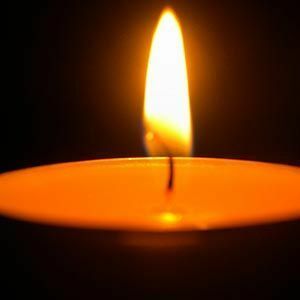 Marie Elizabeth Munoz, 94, of Summerville, SC, widow of Michael Munoz, entered into eternal rest Thursday, December 6, 2018. Her memorial service will be held Monday, December 10, 2018 in the J. Henry Stuhr, Inc., Northwoods Chapel, 2180 Greenridge Road at 2:00 pm. The family will receive friends Monday one hour prior to the service. Entombment will follow at Carolina Memorial Park Mausoleum. Marie was born September 8, 1924 in Columbia, SC, daughter of Mike Lavrentakis and Marie Altman. She was a medical transcriber at the Naval hospital. She was a member of Divine Redeemer Catholic Church and Immaculate Conception Catholic Church for many years. Marie enjoyed reading and she was a wonderful cook. She enjoyed providing meals for her family and her fried chicken and baked macaroni and cheese were "out of this world". She particularly enjoyed spending quality time with her children and grandchildren. She is survived by a daughter, Mary Hall (Rick) of Moncks Corner, four sons: Michael Dale Munoz (Carol) of Summerville, SC, Anthony L. Munoz (Patricia) of North Charleston, Randall D. Munoz (Barbara) of Peachtree City, GA and Larry J. Munoz of Goose Creek; 12 grandchildren and 18 great-grandchildren. She was preceded in death by her husband. Memorials may be made to The Village of Summerville, Employee Appreciation Fund, 201 W. 9th North St., Summerville, SC 29483. I am sorry to hear of your loss. You, though, have been blessed to have your mother so long. I know because my mother was born a year earlier than yours and died in 2006. Hope to see you at our 1964 class reunion in April. To the Munoz family, Jonathan and I are truly sorry for the loss of your mom. She was one of the mostamazing women I ever had the privilege to know. I'm beyond blessed to have known her for 14 years, and all she stood for. Now you have both parents back together, and two more guardian angels looking down on each one of you. We love you guys very much. I am sorry for your loss of your Mother and Father. I did not know your Mother, but I knew your Father, Dale and Carol from the phone company. Your family has always been a great inspiration to me. Our thoughts and prayers are with you and your family. Our thoughts and prayers are with you all. I know you have suffered the loss of both your Mom and Dad this year and I understand it is most difficult. I take solace knowing Uncle Mike and Aunt Marie are together again. I have such wonderful memories of the Munoz Family 50th Reunion and I hope your folks take a spin around the dance floor with Uncle Tony and Aunt Louise as they did then. Kay and I have wonderful memories of your family. We lived next door for many years and survived Hurricane Hugo and many other occasions. We deeply loved Mike and Marie, and we got to know each of you in special ways. Memories of our relationships with each member of your wonderful family will always be special to us. So very sorry you have had to bear another loss so soon! Keeping you all in thought and prayer! Dale and Carol, I am so sorry to hear of the passing of your mother. Praying for you and the family during your loss. Sending love from my family to yours. Life Stories provides friends and families a forum to post their favorite stories and memories of Marie Elizabeth Munoz ensuring the precious experiences are never forgotten. Share joyful times, post a photo that captures the moments you cherish, and allow others to reply, relive and remember.